Check out this great post from Rachel Poli's blog with the best way to plan a crime in your mystery novel as part of her Mystery Month series. Read More "The Best Way To Plan A Crime In Your Mystery Novel [Mystery Month]"
Check out this helpful post with advanced twitter tips for writers from D.E. Haggerty’s blog. There’s no way around it – if you want to build a writer’s platform and cultivate relationships with your readers, you have to be on Twitter as part of your author toolbox. Although I didn’t really see the purpose in Twitter, I followed this advice and worked hard on building what I thought was a solid Twitter following with over 10,000 followers. Check out this great review of the book, A Boy Named Rabbit, by Marcia Meara, as part of the share a review day feature from this post on The Write Stuff blog. I think we should add a new feature to TWS, just for fun, and to help us share what readers are saying about our books. With that in mind, I’m creating #ShareAReviewDay for Wednesdays. You are hereby invited to choose a favorite review of one of your books, and either a) post it on TWS directly, if you are a contributor, or b) email me to set it up for you. (See Contact above.) Since I’m late getting this off the ground, I’ll run it through tomorrow, too, and next week, I’ll give you heads up the day before, so you can plan to take part. Check out Chapter 7 of Teagan Geneviene’s serial, Hullaba Lulu from this post on Teagan’s Books blog. Author Phyllis Entis is in the spotlight in this post from the Reade and Write blog. Today I welcome author Phyllis Entis back to Reade and Write. Phyllis has penned both fiction and non-fiction, but it’s the fiction she’s talking about today. 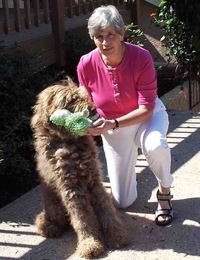 Phyllis is the author of the Damien Dickens Mysteries, which consist of The Green Pearl Caper,The White Russian Caper, The Chocolate Labradoodle Caper, and now, The Gold Dragon Caper. I can personally attest to how good the books are! She’s here to tell us a little about The Gold Dragon Caper. “The Gold Dragon Caper was both the easiest and the most difficult of the Damien Dickens Mysteries for me to write. I knew where I wanted to go with my plot, I knew my villain (not always the case for me at the start of a book project), and I knew how and where I wanted the story to end. That was the easy part.